Intel may be one of the biggest names in semiconductors the world over but they've never managed to brake into the world of smartphones. Until now. The American microchip giant has unveiled a new chip set, which it is claiming is one of the most efficient processors ever to hit the market. Intel debuted the new processor, codenamed Medfield, at this years Mobile World Congress in Barcelona but will we really soon being using Android's with Intel inside? Check out report for details. Six hours of full HD video playback, 8 hours of talk-time and a whopping 14 days of stand-by.... If you think it sounds too good to be true you're not alone. But Intel is confident that it's new Atom Z2460 chip-set is capable of all this and so much more. Intel's latest entry into the competitive world of smartphone processors came at this years Mobile World Congress in Barcelona, where their new processor was sported in a new Orange network smartphone. While Intel has tried to make other inroads into the smartphone processor game, they have struggled to produce a chip set that maintains the delicate balance of high-end performance with low power consumption. But the Medfield processor just turned Intel's track record on its head. Intel's latest makes up for its single-core by being one of the fastest single-core processors on the market. The Medfield currently runs in at 1.6 GHz but can easily be boosted to 2 GHz. It's speed combined with the stellar power consumption rates make it an ideal processor for mid. range phones. Intel has already signed deals with Orange, ZTE and Lava,an Indian cellular provider, and it looks like mass-market-ready devices are just around the corner. 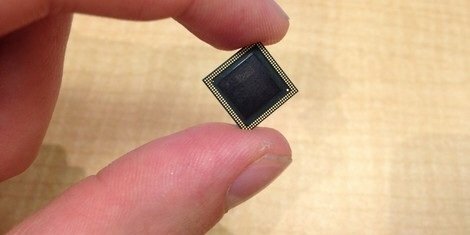 It will be interesting to see, if the chip set lives up to Intel's claims.